The father of 4, has finally unveiled the face of his newborn son, 40 days after his birth, as per the Islamic custom. Alikiba´s son could not be shown to the public , within the first 40 days after his birth and he has finally been revealed. The now proud father of 4, took to social media to share with the world the adorable face of his new born son. Judging on the video shared, the baby´s features are a copyright of the couple yet so adorable. 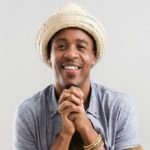 The post Alikiba unveils face of his child with wife, Amina Khalef appeared first on Ghafla! Kenya.